The MWE series gives you all what you expect of a quality power supply and more. It guarantees a typical efficiency of at least 85%. Besides that, the MWE series comes with a circuit design that will protect your system at any time. Together with a quiet 120mm fan, you get all the essentials in one little box. The V series of 80 Plus Platinum power supplies is built using the highest-grade components available, including 100% high quality Japanese capacitors, to ensure excellent efficiency, hold up times, voltage stability, and ripple suppression. The V series uses a fully modular cable system with extra slim flat-ribbon cables to improve cable management and allow for clean and elegant looking builds. The V Semi-modular power supply series features 80+ Gold certification and powerful single rail configurations. These power supplies also reduce the number of unnecessary cables and improve cable management with a semi-modular design. The GM Series is semi-modular to reduce the number of unnecessary cables for better cable management. The single +12V rail on all GM Series power supplies allows for superior load balancing and GPU compatibility. The refreshing new design of the GX Series is an outstanding choice for basic system builds, offering gamers and mainstream users high-end features without hitting your wallet. 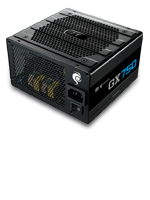 80 PLUS Bronze certified and a custom DC-DC module design that has higher efficiency and voltage stability from its predecessor, the GX Series is the best choice to bring your game to the next level. B Series power supplies are ideal for mainstream and basic computing systems. They are built with quality components and have dual +12V outputs to provide stable, clean power. The Thunder power supply line is ideal for mainstream computing systems. It is built with quality components and has dual +12V outputs to handle the demands of high power requirements. 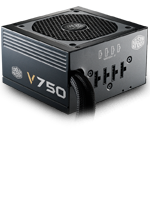 Elite power supplies are built using quality components and a dual +12V output. They are both reliable and affordable, making them ideal for mainstream and basic computing systems.